You may have recognized that the “T” in WDTCF has been replaced with a “those” instead of a “that.” So were getting double the trouble? Nope, but we are getting four times the fun with today’s WDTCF! 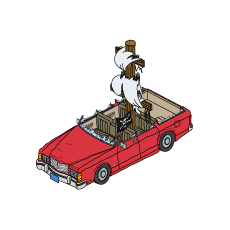 So what does Long John Peter’s costume, the sea dogs (or pirates) from district five of Quahog, the Jolly Roger (5 clams) and Peter’s pirate car (150 clams) have in common? They all appeared in the season six finale titled: “Long John Peter.” Boy, by the sounds of it Peter is yet again involved in another shenanigan of his. Well let’s find out what that maybe. Peter’s journey toward becoming a pirate starts when the Griffin family takes Brian to an animal veterinarian to check out an upset stomach. Next to Peter is a talking parrot. After Meg claims she wants to be a veterinarian Peter steps in to put her down immediately when he counters with,”Meg we have been over this. 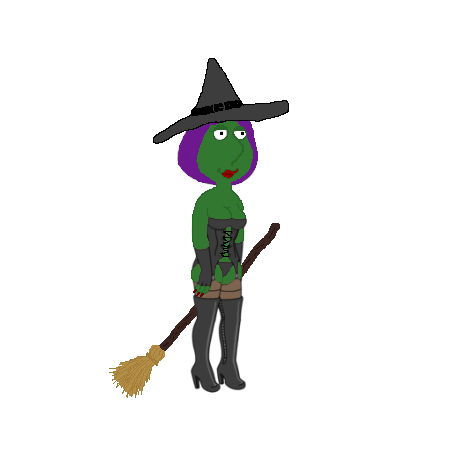 You are going to gain 150 pounds, and write Ugly Betty fan fiction.” When Meg argues, Peter says, “Meg that’s final.” The parrot picks up that line and repeats it. When Peter says thank you to the parrot for backing him up, the parrot replies with the same line: “thank you.”Peter then considers this to be politeness.Peter asks to be friends, and the parrot of course answers with,”let’s be friends.” Therefore, Peter agrees to be friends. Peter Griffin then takes the parrot to keep for himself. Meanwhile, Chris in the episode’s B-plot wants to go back into the vet’s to see the intern Anna (because Chris is easily smitten by her). Lois agrees to take him if Brian is sick again. Chris then lifts Meg’s shirt partly to show her abdomen. Let’s just say that at the very least Brian felt nauseous. Having technically proven that Brian is sick, Chris begs to go to the vet’s. Then all of a sudden Long John Peter, and the sea dogs bust through the front door. After doing so, Peter establishes that this is his new thing now, as he jokes with his crew, while ordering Lois to make his crew dinner. We then cut to Goldman’s pharmacy as Mort stacks products. All of a sudden Peter and his gang break through the window to try and loot the pharmacy. They tie up Mort, loot what they want, and then bring in a cannon of all things to destroy the pharmacy (this includes terrible pharmacy toys; thank goodness for Long John Peter as he destroys them so that “no child will ever receive them as a last minute gift hastily bought on the way to the party”). Afterward Peter and the sea dogs decide to attempt to steal sugar cane, tobacco, and spices from a British man who is shipping them out of the harbor. They sneak up behind with the British flag on their car as to not gather suspicion. 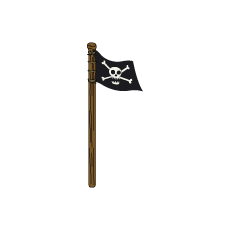 But once they near the British man’s shipment they switch out the British for the Jolly Roger flag. Soon Peter and the gang pull up (keep in mind this is not battle via ship, but by car). Peter and the British man soon engage in sword fighting combat. Then later in the sword fight both sides decide to pull out cannons! Both cars’ tops are knocked off during this portion of battle. While one of the sea dogs fires again they hit a rock in the road the cannonball shoots upward and knocks a telephone pole right off. This lands on Peter’s car upright. As a result the pole then catches a street fair banner. The end result: Peter’s pirate car. Peter then swings over via telephone wire to have one last go at the British man (sorry if saying that over and over is redundant, but it was that or Shelley Boothbishop which is his real name). Peter then distracts Shelley via a sword fight. In the meantime,the sea dogs are stealing from Shelley’s cargo (this name game’s better). Once all the cargo is cleared Peter jumps back to his car just in time to shoot again. This finally “sinks” Shelley as the car is hit and crashes into the water. Shelley then bravely goes down with his ship, car, vessel, etc. Afterward it is discovered that Adrian Beaky (almost forget about him?) was seriously injured during battle. Beaky would go on to die a painful death according to that of veterinarian Dr. Jewish (not joking). This would effectively end Peter’s reign as long John Peter. This WDTCF covered half the episode, the other half of the plot was a separate storyline in which Chris goes out with his first girlfriend: Anna (guest voiced by Amanda Bynes). Despite this being the final episode of the season, this is only the 12th episode of the sixth season. 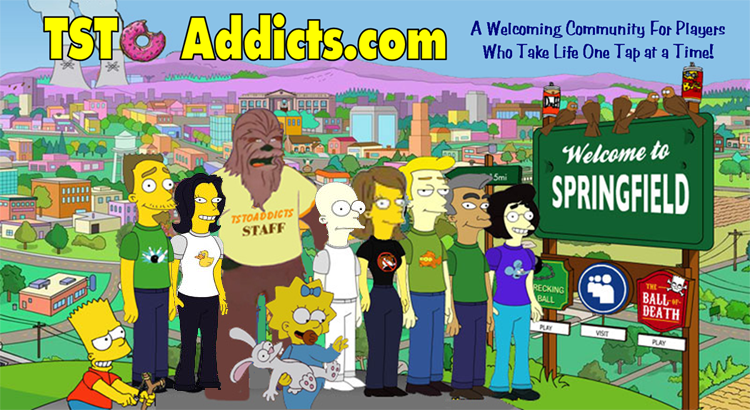 This was a direct result of show creator Seth MacFarlane’s participation in the 2007-2008 Writers Guild of America Strike. Thanks for the great post Zack! What did YOU think of Zack’s Post? Your thoughts on the pirates? Have you made any pirate premium purchases (say that 10 times fast!) in your Quahog? Sound off in the comments below, you know we LOVE hearing from you! 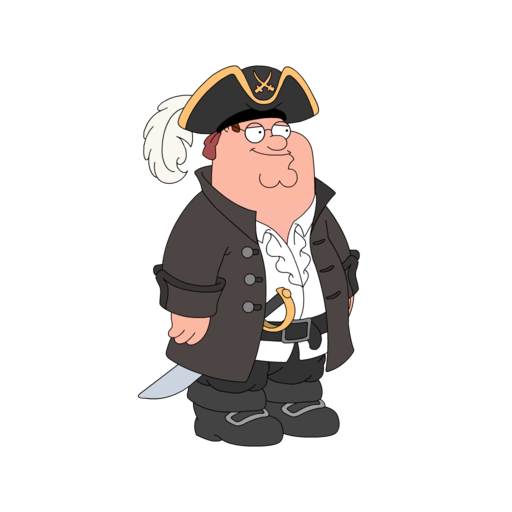 This entry was posted in Characters, Clams, District 5, Where did THAT come from and tagged Addicts Community, District 5 Pirates Cove, Family Guy Addicts, Family Guy The Quest For Stuff, Family Guy Tips and Tricks, Long John Peter, Pirates in Quahog. Bookmark the permalink. Ow wait nevermind. The outfit with the bird is probably an eagle.